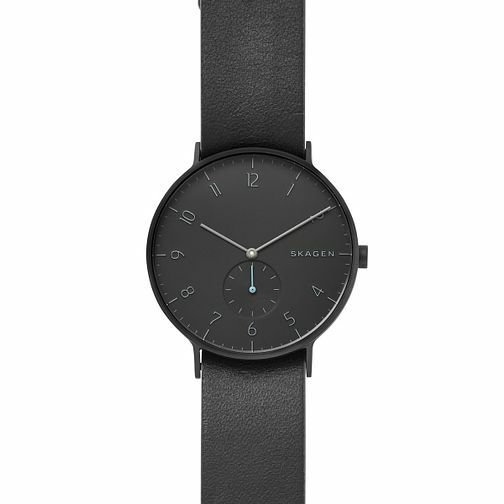 Effortlessly modern, this Skagen Aaren model will perfectly compliment any outfit. An ion plated case boasts a smart round black dial, with a reversable leather strap to co-ordinate with smart black, or switch it up with cool grey. This watch has been finished with numeral indices, nifty sub-dial at its centre and water resistancy up to 50 metres.